Two newcomers have joined two incumbents for the three positions on the Barrington School District Board of Education up for election in November. Borough residents Mindy Berwick and Holly McCauley will join board Vice President Carla Bolling and board member Robert J. Klopp in the race for the three positions. Board member G. Scott Manlove chose not to seek re-election. 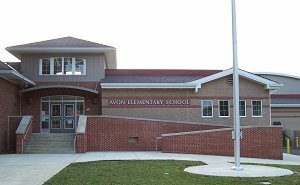 Both Berwick and McCauley are listed as officers in the Avon Parent Teacher Association; Berwick is the president and McCauley is the secretary. NOTE – As with last year, the Bulletin makes this offer: If any candidate would like to express his or her opinions, positions or goals for their school board candidacy within this online publication, please e-mail BarringtonBulletin@gmail.com to make arrangements. It’s gratifying to live in an active community in which residents want to get involves and take part. Compare Barrington — where voters once again will have to make a choice come November — with other nearby communities such as Oaklyn, where two candidates registered for four positions, Woodlynne, where no candidates registered for two positions, or Collingswood and Haddon Heights, where three candidates registered for three positions. The kind of civic engagement we have in Barrington is something to be proud of. This entry was posted on June 6, 2013 by Barrington Bulletin in Schools and tagged school board.